We all moaned and groaned when Adobe announced that the whole Creative Suite of applications will be transformed to the cloud for a monthly fee. However Adobe has proved with consistent updates and improvements that the switch to Creative Cloud was for the better. Yesterday Adobe announced major updates for 2014 to most of their Creative Cloud applications, including Photoshop, Adobe’s most publicized product. I downloaded Photoshop CC 2014 and explored it until I found my favorite new game-changing features! 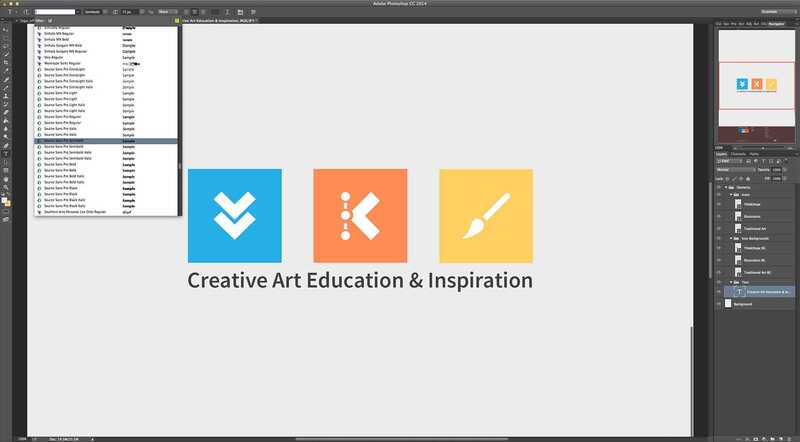 Finally Photoshop CC 2014 introduces us to a proper Smart Guide system that rivals Illustrator’s Smart Guides! We can now use the Move Tool to see Smart Guides that measure the distance between layers, help center elements within layers, and even help align multiple layers at the same point. This will remove the need to use so many grids and guides in our documents and save time when designing! Photoshop CC 2014 has two updates to the way we work with fonts. The first is automatic font previews that allow you to preview text layers as you scroll through the list on the option bar. This is a small but very welcome update that allows us to test the waters of a new font in our design without having to constantly select and deselect text in-between font changes before committing. The other new font features come with the Creative Cloud bonus of Typekit. You know that ugly “You don’t have this font” dialog when you open up a file from someone else? It’s no more as Photoshop CC 2014 will ask you if you’d like to download and use the specified font without having to search for it on the web (provided it exists on Typekit). Alternatively we can now search for new fonts within Photoshop as well by clicking the little Typekit logo in the top right of the font panel. Up until now when you converted a layer into a Smart Object, it would make a non-destructible secondary file (with a .PSB extension) within the PSD file you’re working in. Meaning that the Smart Object was embedded exclusively to this one PSD file. Now you can link Smart Objects making it so that you can have multiple PSD files using the one external PSD file as a Smart Object. This is really useful for using your logo in multiple promotional materials. 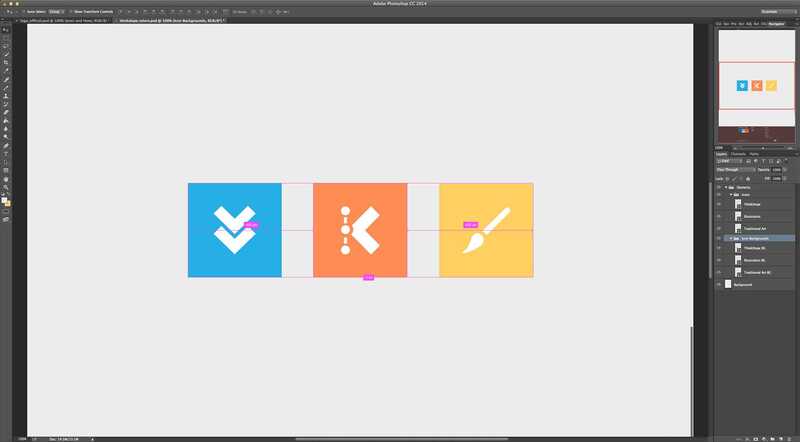 Say you needed to update your logo on 100+ files – that would take hours. Now all you would have to do is open your linked logo file and update it. All 100+ files would be updated with the new logo. This feature also comes in handy if you’re collaborating in the cloud. In a basic example, say Juelz and I were working on a new cover photo for Facebook. 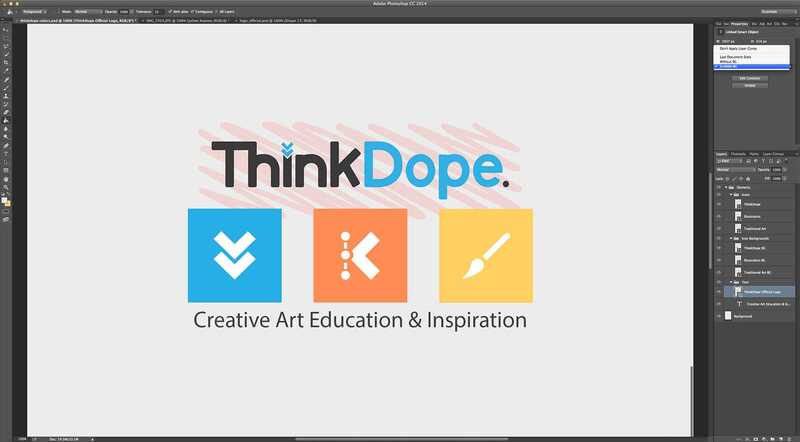 I can create and lay out the dimensions and logo in a PSD while linking another PSD (located in Dropbox) as a Smart Object for the background. If I share this linked PSD with Juelz in her Dropbox she can update it with her drawing and save it. Once sync’d our Facebook cover will have her drawing in the background with my logo and dimensions. Layer Comps are nothing new, yet they still aren’t a well known feature. Basically a Layer Comp is like a saved arrangement of layer positions, visibility, and layer styles in a PSD file. This would allow me to show multiple versions of a flyer to my client and/or A/B test the positioning of text on a website. It gets better though as Adobe has added a minor feature that would allow me to nitpick my updates to an already made Layer Comp by choosing to update only visibility, position, or layer style properties (as opposed to only being able to update all three together). What’s even bigger is now you can actually select Layer Comps from a linked Smart Object within the parent PSD file. This means I could select multiple versions of my logo without ever having to leave the PSD file I’m working in. These are all great minor updates as it is, but probably the best new feature in Layer Comps is that I can navigate to File > Scripts > Export Layer Comps to Files… and export multiple Layer Comps. This means I can export 20 different versions of a logo to show a client in one click! This is arguably one of the biggest Photoshop features ever! Photoshop CC 2014 will now attempt to predict Masks (or selections if you choose) by selecting the in-focus areas of an image automatically. Playing with this feature I was able to quickly cut-out Julian Keaton from a brick wall scenery and put him into a graffiti scenery (“graffiti, Stockwell” by duncan c, CC-BY-2.0.) within 30 seconds of fiddling with the tool. I didn’t have to trace him and refine selections repeatedly which could take upwards of 15 minutes. 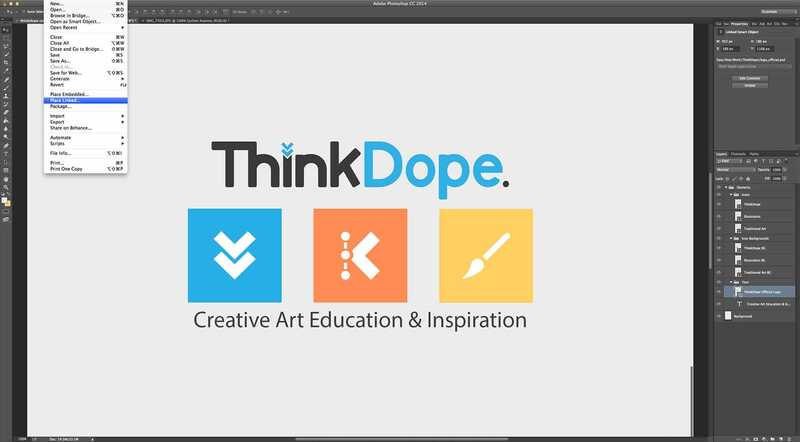 This feature alone is worth upgrading to CC from CS6 because of the time it will save you. Blur Gallery brings in a 5 new motion blur effects to make objects look like they’re in motion. It’s a pretty basic concept to understand, but the ease of these new tools let me transform this Lamborghini Aventador (“Low Lambo” by Steven Vacher, CC-BY-2.0.) from sitting still to moving within minutes! A breakdown of how I did this quickly: Open a car picture and duplicate the background layer. Select the background layer and use a Path Blur. 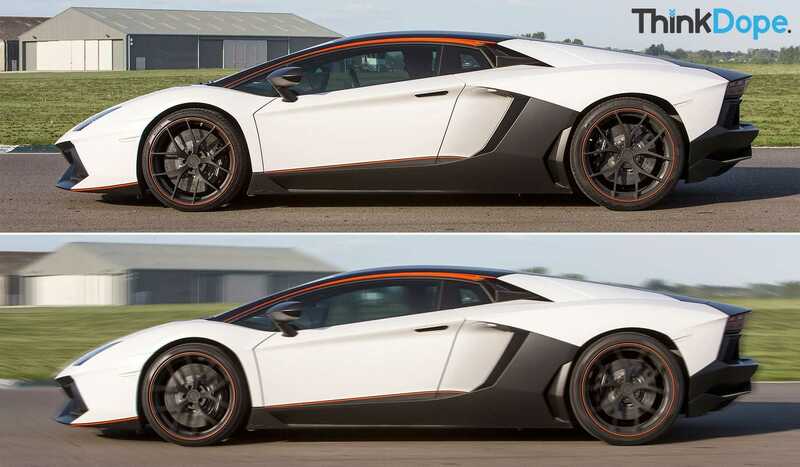 Select your duplicated layer and use Focus Area to mask/cut out the car. After use a Path Blur with a lower intense settings on the duplicated layer. Finally top it off using a Spin Blur on the wheels of the duplicated layer. While these 6 features are my favorite in the new Photoshop CC 2014, there are so many more than I can cover. Other features include improved Content Aware results, better image up-sampling, new 3D features like printing capability, new generators/exporting options, touchscreen improvements, and much more. You can check out a running list over at Adobe. 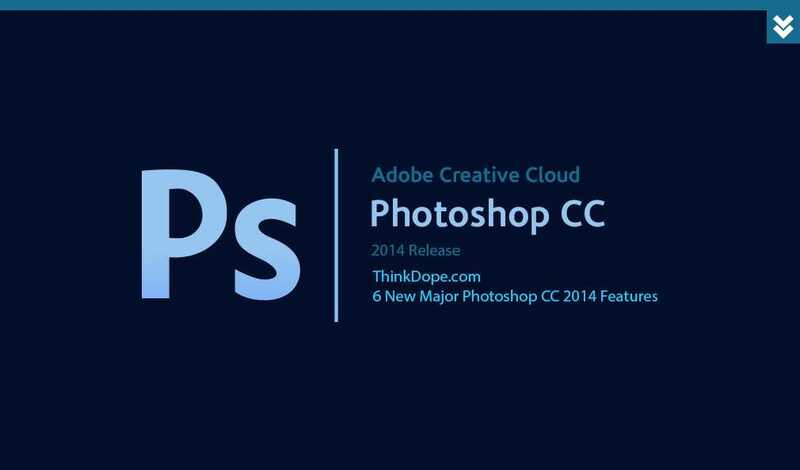 If you’re a Creative Cloud subscriber the new Photoshop CC 2014 is available to you right now – get to downloading! Full Metal Jacket is a classic movie with a huge fanbase. If you’re part of that fanbase then I have some great news for you! After a successful Kickstarter campaign, designer Livia Lucie released a limited edition run of her FMJ Minimal Movie Poster design. You picked a very common and major photoshop cc feature.